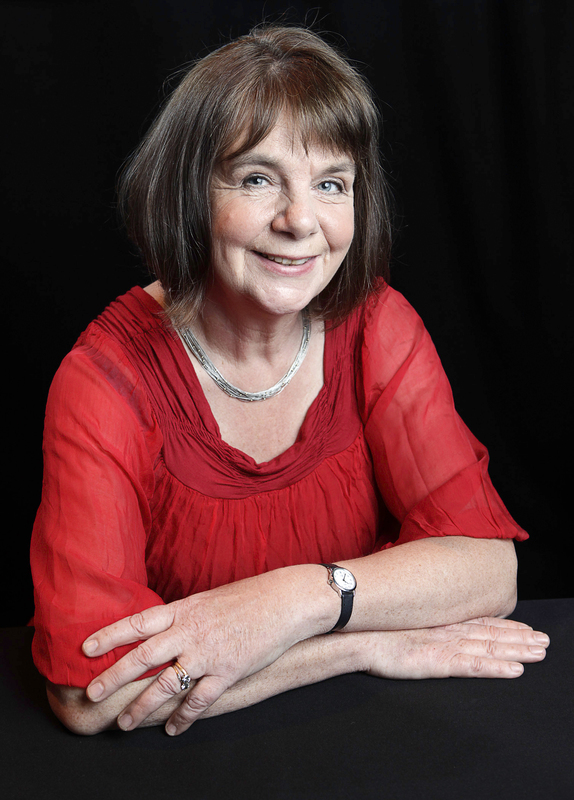 Julia Donaldson is the outrageously talented, prize-winning author of some of the world’s best-loved picture books including modern classics The Gruffalo and The Gruffalo’s Child, which together have sold over 17 million copies worldwide and have been translated into seventy-five languages. Her other books include Room on the Broom, Stick Man and the What the Ladybird Heard series. Julia also writes fiction as well as poems, plays and songs. 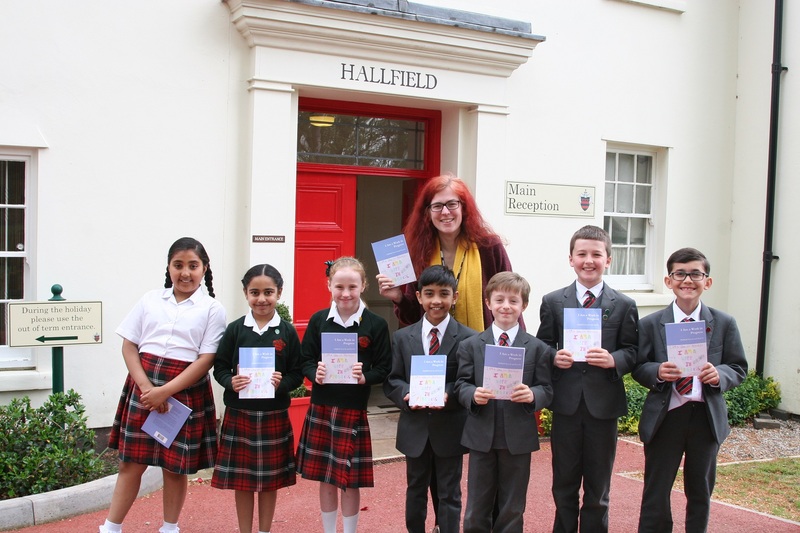 She was the 2011-2013 UK Children’s Laureate and has been honoured with an MBE for Services to Literature. Julia and her husband Malcolm divide their time between West Sussex and Edinburgh. 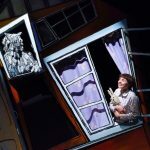 Julia talks to us about What the Ladybird Heard and the stage show based on it. How did the idea for the story of What the Ladybird Heard come about? I was walking in the countryside with my youngest son and we were reminiscing about when he was a little boy. At an age when children are just learning to read, his teacher had given the class an exercise matching up animal noises with animal pictures, but because most of the children couldn’t yet read, the activity went comically wrong. The hen hissed instead of clucking and the dog meowed and so on. I thought it would be lovely to use this idea of animals making the wrong noises in a story somehow and my son, now a young man, suggested animals playing a trick on the farmer. Then I hit upon the idea of two thieves trying to steal the farmer’s fine prize cow. So, it was quite nice how the story came about really. What inspired you to work with Lydia Monks on this book? Is there anything about her illustrations and collages that particularly appeal to you? I’d worked with Lydia before on a couple of books and I knew she liked drawing farm animals. She’s very good at it. I think Lydia’s work is very stylish really. She’s rather inventive and she’s got a tremendous sense of design. I see her very much as a designer in her work and that’s why I’m thrilled she was involved in the design of the stage show [Lydia is design consultant on the show] and I’m really pleased that the set and costumes are very truthful to her illustrations. And how did you come up with the idea of the Ladybird? One wouldn’t ordinarily associate Ladybirds with farmyard animals. I think the idea of a very little character outwitting bigger and brawnier ones really appealed. And probably the fact that Lady – bird rhymes with heard. [Rhyming is an integral part of Julia’s work]. This is fine of course until the book was published in America, where “Ladybird” becomes “Ladybug”. I had to change quite a lot for the American version of the book; apparently, police cars don’t go NEE NAWH there. Would you say the small [voice] outwitting the bigger and louder ones is a common theme in your books? I suppose some of them yes – The Gruffalo, What the Ladybird Heard and also The Snail and the Whale. I think it’s a very common theme in stories for children and adults. Often, it’s a rather nerdy detective that solves the crime and wins against gangsters or crooks. 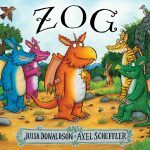 I did try in Zog though, to make him the biggest and clumsiest dragon there is, because I think there’s a bit too much little and clever out there. Did you ever consider a different ending for What the Ladybird Heard or did you have a very clear sense of the ending from the outset? The ending is very important, as I was saying the initial idea revolves around the trick of the animals making the wrong noises, so the story had to lead up to that. I hadn’t thought up the duck pond initially. Usually, I let my villains off quite lightly. You see them being arrested and I really like the image in the show of the tiny police van leaving the farm, I’m delighted that was worked in. How does it feel to see your stories come to life on stage? Exciting and a little scary too. I have one eye on the stage and the other on the audience – to check that they are enjoying it. Would you ever consider revisiting any of the characters from What the Ladybird Heard? Yes, there are now three books in the series What the Ladybird Heard, What the Ladybird Heard Next and What the Ladybird Heard on Holiday. Do you sometimes look back to the beginning, to your first book, A Squash and a Squeeze and think about the millions of books you’ve sold since? A Squash and a Squeeze was published in 1993, I had written it as a song years before, when I was in my twenties and wrote for television. Around the same time as Playschool was on television, there was another ‘Watch with Mother’ programme called Play Board. I wrote songs for the show based on Aesop’s Fables and then came A Squash and a Squeeze. It’s a traditional story and the song went on to be used a lot on children’s television. It’s on a BBC album of children’s songs and was heard by a book publisher who listened to it with her children. Years later, she approached me to write it as a book. 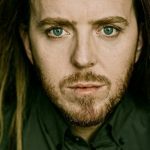 So, that’s how I made the jump from writing songs for television to writing books. And now look where we are! 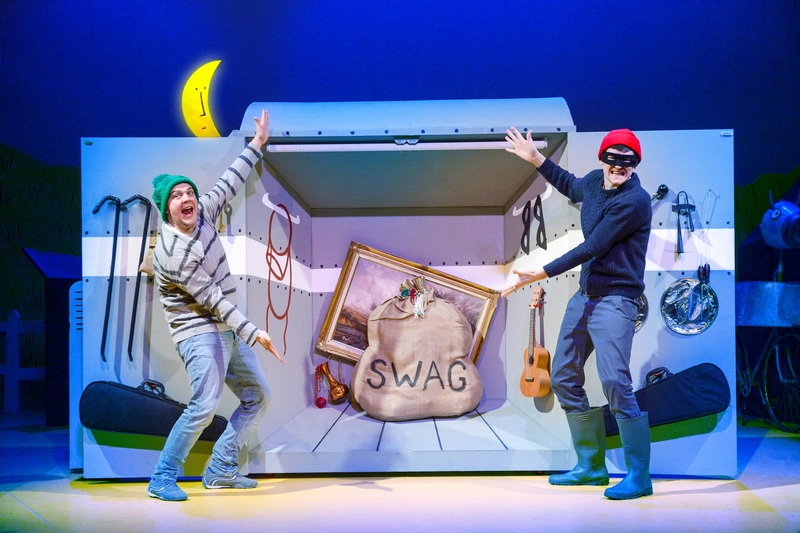 How important do you think it is to have live instruments in this production of What the Ladybird Heard? I’ve done three books of my own songs with Macmillan publishers and I insisted on real musicians. With each song book, we held a performance – I was singing with about six musicians on stage – I loved that! I still do shows with my husband Malcolm, although he’s often the one persuading me onto the stage these days! 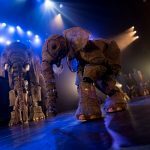 I do really like live instruments; it’s a very nice feature of the show as it’s great for children to see and hear live music. In fact, when I started writing for Play Away and Playschool it was always with live musicians and with Play Away the band was visible on stage. Nowadays, you don’t see so much of that. 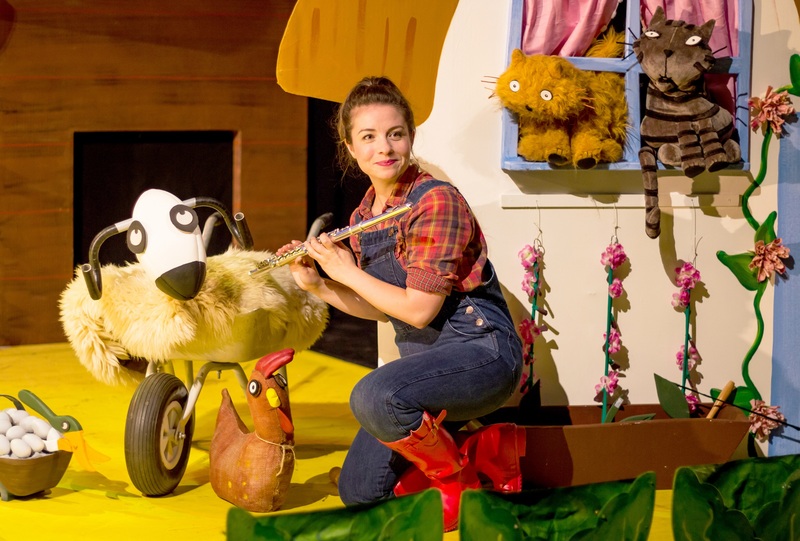 What are your favourite parts of the What the Ladybird Heard Stage Show? I love the songs, the farmer’s song at the beginning is wonderful and the lovely, lively acting set against Lydia’s [Monks] farmyard is a joy. 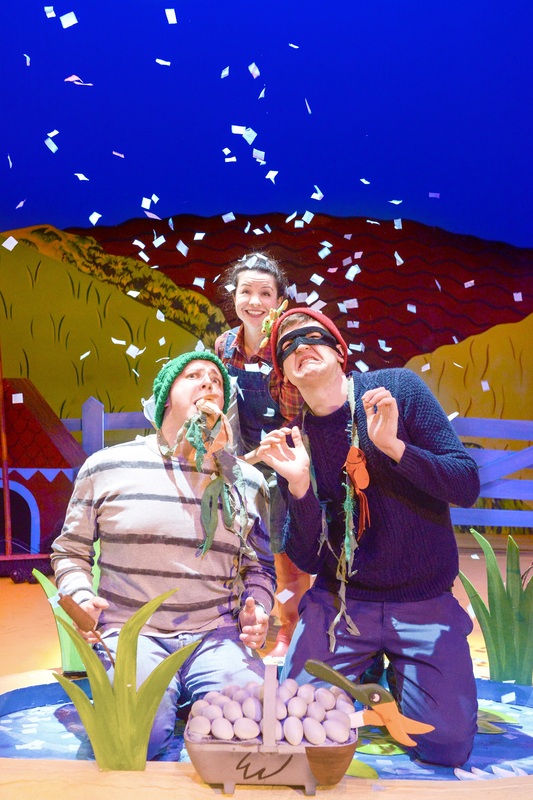 What The Ladybird Heard runs at Curve from Tue 3 – Sun 8 April.